West Virginia forms typically allow you to select all of these topics with ease. Otherwise, you may select any of these topics individually or in any combination. It is best to grant only what you need to, in order to prevent mismanagement or fraud. 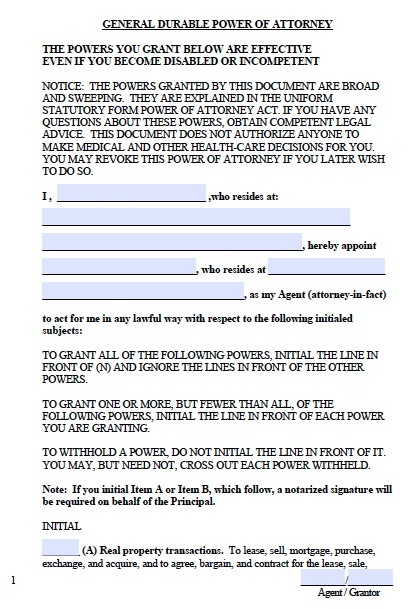 West Virginia recently revised its law to be compatible with the Uniform Power of Attorney Act. These revisions make powers of attorney more portable, i.e., other states will more readily recognize powers of attorney drafted under West Virginia law and vice versa. Another notable change is that third parties can now be liable for refusing to honor properly executed powers of attorney. This is in response to banks and other institutions refusing to allow agents to act for their principals.